Among all the pieces of women’s jewelry, a necklace is perhaps the most prominent one. If you choose the right kind of necklace, it can make you look fabulous even if your clothes and other accessories are not so impressive. Necklaces are of various types like chains with or without pendants, chokers, strands and more. If you want to make your jewelry collection complete and up-to-date, you should have every type of necklaces in it, suitable to each type of occasion. Sprint Shopping has a huge collection of necklaces and I just can’t resist myself from showing you some of them. Here they are. I am sure you will be impressed with this 14-carat gold necklace with two colors. 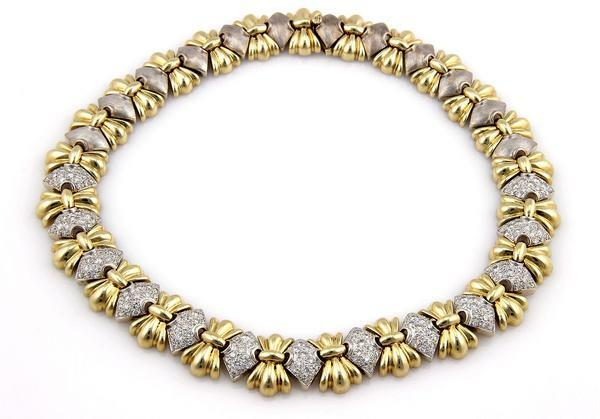 This is an innovative style created from yellow and white gold and amazing sparkling diamonds structured in a link design so as to give a look of two colors. 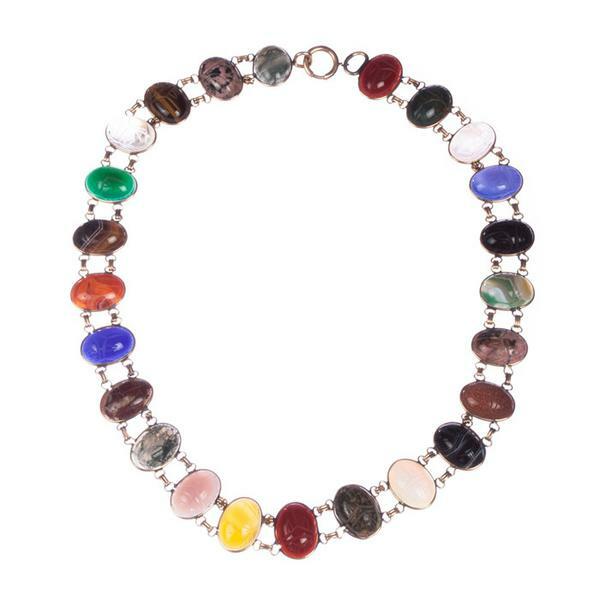 This cute necklace features 24 different multicolored gemstones including lapis lazuli, rose quartz, pink rhodonite, green chrysoprase, bloodstone, black onyx, clear quartz, banded agate, tiger eye, carnelian, and more! 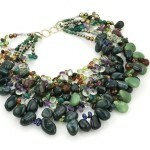 This fabulous necklace is definitely going to make you stand out wherever you go. 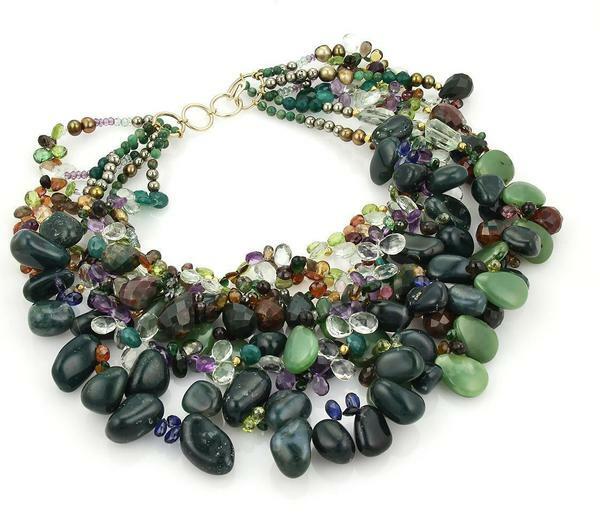 It is a massive six-stranded necklace full of gemstones of various types, colors and sizes that make it look charming as well as funky! The gemstones include teardrop pietersite, jade, clear quartz, agate, garnet, amethyst, emerald, citrine, gold-brushed pearl, silver beads and more. 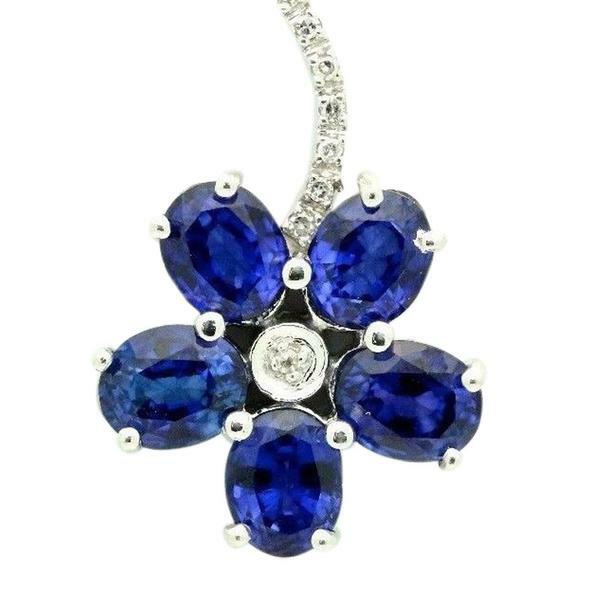 This is indeed a fabulous piece created with 5 oval blue sapphires shaped into petals of a flower suspended in a 14-carat white gold chain – a must-have piece in women’s jewelry. This beautiful combination of pleasant green-colored emerald, fully surrounded by sparkling white diamonds will make you fall for it. 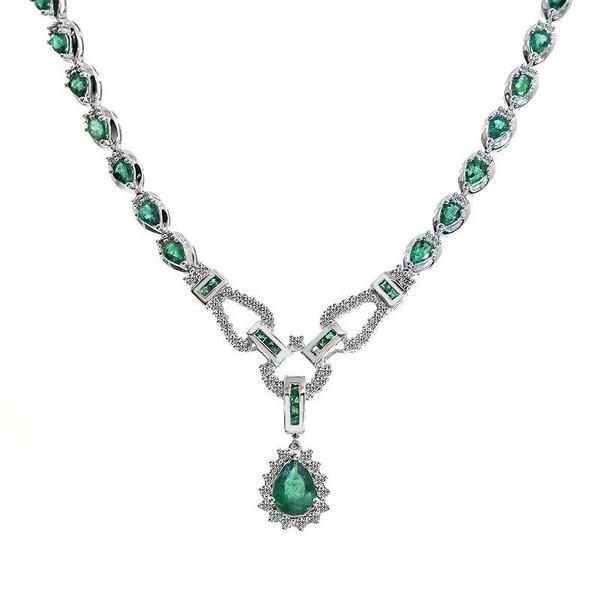 Not only the pendant, but the chain is made of emeralds and the combination of green and white makes it a unique piece that you can wear on special occasions to catch everyone’s eyes. Sprint Shopping has a lot more in its magic sac. There are rings, earrings, bracelets, clothes, accessories, and a lot of designer jewelry pieces. If you are planning to shop for something trendy this season for you and your family, don’t forget to visit this site.